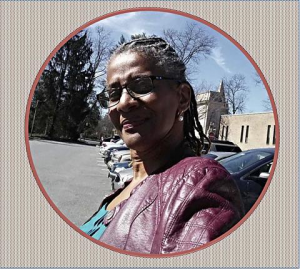 The CMI Spirit - Sharon Smith - Credit Mediators Inc.
As we are delighted to spotlight Sharon Smith for our March newsletter, please read through her short interview which conveys her passion for CMI and the collection business. Q-1: How long have you been working at CMI and as the Collection Coordinator? What was the initial opportunity that brought you into this industry? A-1: I have been working at CMI for 28 years come March 19th, 2018 and in this position for 18 years. I actually had very limited knowledge about the industry at the time and was just in need of a job. As CMI was hiring, I came in for the interview, got hired as a clerical person and just moved up from there. A-2: My main duties are keeping clients updated on the accounts they place for collections as well as bringing in new business from new and existing clients. I also assist my colleagues in any area needed. Team work makes the dream work! Q-3: What is the most gratifying aspect of your position? A-3: It’s gratifying to be able to bring to the table educational tools that will help my clients and prospects in their daily jobs. When you work as a team it brings gratification to all parties, especially when you’re able to collect on that delinquent account. A-4: I find the biggest challenge in my day to day work is meeting monthly quota. What I’ve learned is that I have to continually challenge myself to never stop learning. A-5: CMI stands out because we have longevity in the industry and we deeply care about our clients and prospects. That stems from the owners of this company caring about the employees, which trickles downs to the employees caring for the people who we touch every day.